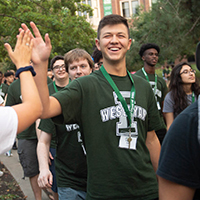 Illinois Wesleyan welcomed to campus its largest incoming class in five years and its most diverse class in University history for the 2018-19 academic year. 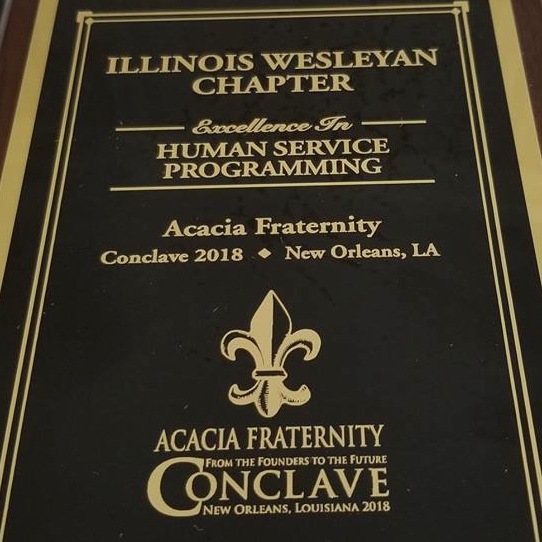 Illinois Wesleyan's chapter of Acacia has received the fraternity's biennial Excellence in Human Service Planning award, in recognition of its many on-campus philanthropy events. 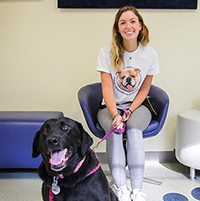 From a packed stadium in California to a research institute in the Philippines, IWU students spent the summer gaining hands-on experience by interning at diverse places. 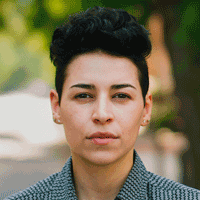 Award-winning viral poet Denice Frohman will perform at Illinois Wesleyan on Tuesday, Sept. 25 at 7 p.m. in the Young Main Lounge of the Memorial Center. 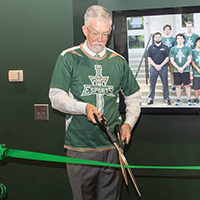 Wearing an Illinois Wesleyan Esports jersey pulled over the top of his dress shirt and tie, President Eric Jensen cut the ribbon to officially open IWU's state-of-the-art Esports Arena. 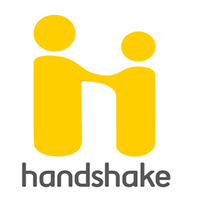 Hart Career Center has implemented Handshake, an online career services management system that gives students a one-stop source for job and internship resources. 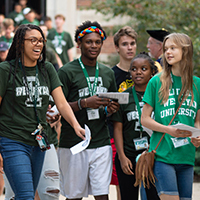 IWU's Class of 2022 - the largest incoming class in at least five years and one of the most diverse in University history - received an official welcome during New Student Convocation. 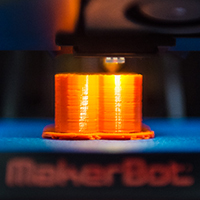 Whether working on a class project, creating handmade presents, or trying a new skill, Illinois Wesleyan students can get creative at the new Makerspace, set to open this fall.